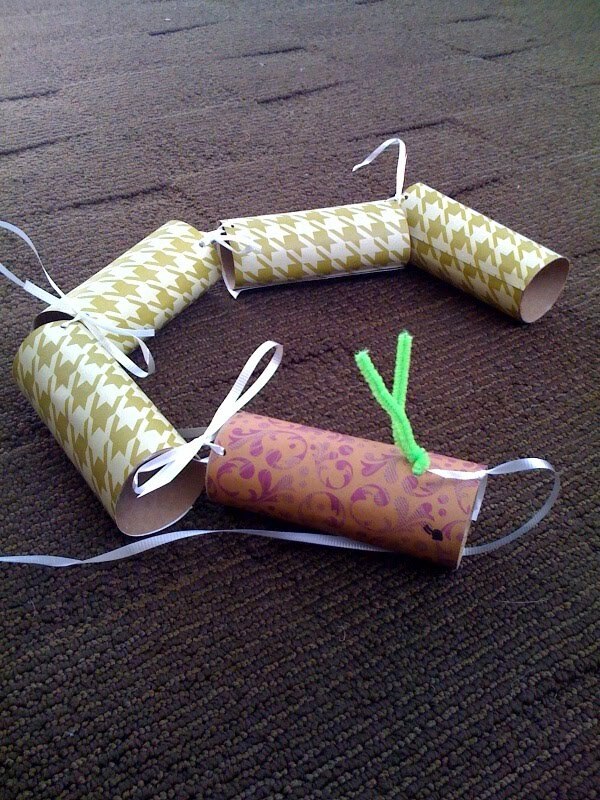 Today we made a catepillar out of toilet paper rolls, craft paper and ribbon. 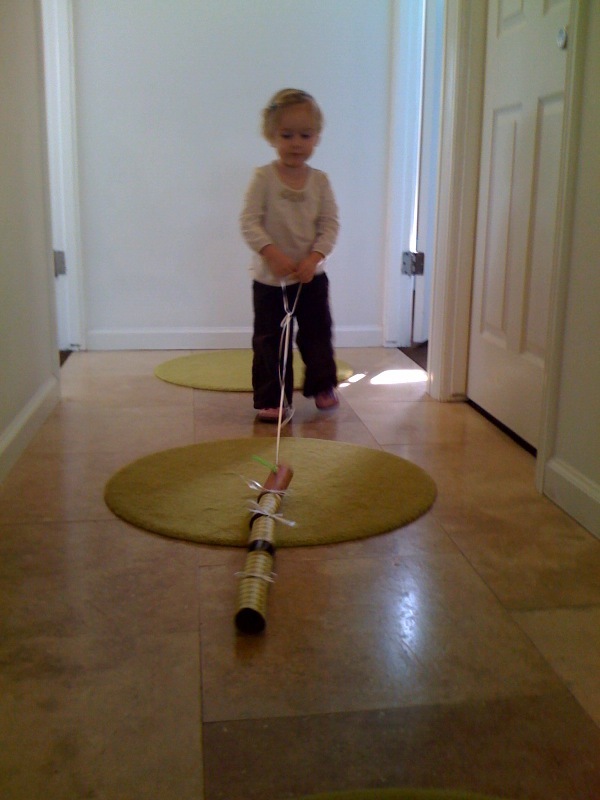 P loved the process of making it and then “walking” it all around the house. I asked her if she wanted to name it and she called it “Applesauce”. Why? I have no idea. I’m just proud I came up with this activity all by myself at 3am the night before.